Sounds like you should just get on TRT. Hey redz, maybe unbeknownst to me, that's what I have been doing...??? I imagine that some blood tests might not be a bad idea. You aren’t far off TRT means you never come off but usually weeekly dose is around 100mg/week but you can always increase dose or add other compounds for short bursts. It’s best to have a doctor involved to prescribe and monitor pct with blood work etc. XnavyHMCS and KennyJ like this. Why sustanon ? It's literally just testosterone . I agree with what Redz suggested. Get prescribed TRT then we can help with a real cycle of some Tren A. Never start with Tren E incase sides are unbearable... You'll be stuck dealing with the sides for a couple weeks rather than Tren A of only a few days. KennyJ and XnavyHMCS like this. Blood work first. Establish baselines. Be sure to check LH & FSH as well as all the usual stuff. KennyJ, Chrisp83TRT and XnavyHMCS like this. HMCS, Thank You for your service. ^^ Kel's post and sus is no diffret than test C that is injected often enough to maintain a narrow range between trough and peak (3.5 is sufficient). There are TRT providers that can do it telemed, maybe they can serve you in Canada. After a few 3-month consultations, you way be able to switch to a personal provide. Why sustanon? It's literally just testosterone. I agree with what Redz suggested. 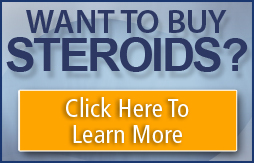 Get prescribed TRT then we can help with a real cycle of some Tren A. Never start with Tren E incase sides are unbearable... You'll be stuck dealing with the sides for a couple weeks rather than Tren A of only a few days. When I ran my first ever Tren E cycle it was last summer, and the only sides I can recall were increases in strength, size and aggression (my moods were the worst, I have opened my on small English school here in E. Europe and dealing with some of the students had become difficult at times). Kyle1337 and KennyJ like this. Thanks for the advice on the blood work. Do bloodwork. If everything is ca ok, u migth pimp trt with sustanon and sarms (LGD) 3-4 months. Then off 3 months. Then repeat. Forget about tren and toxic stuff. Doing sus some months then tren after 4 weeks off is very bad. U migth wanna start mk677 12.5 mg ed for life as it works better n better. U u wanna cut u migth wanna add cardarine. If u wanna take it further, digg deeper into the lifestyle, rather than adding tren or orals. Or drop LGD and add deca to your test for 3 months on one of your blasts. But test, lgd, mk677 and possible cardarine should be your default blasts with your trt. OK, I will have to check some of this what you have wwritten. Man I would love to hear all the stories someone like you could tell. The stuff fascinates me. BTW, welcome and you will find a ton of great people here and you will learn very fast. Don't let the influx of new info overwhelm you. I'm fairly ignorant to a lot of this but you can learn as much as you want. It's just according to how much time you can allocate to researching. Quester and XnavyHMCS like this.